The Metropolitan Police announced today that it solved the long running mystery of the 'Croydon Cat Killer'. After nearly three years of investigating it has come to the conclusion that most of the cats have been mutilated by wildlife, probably foxes. 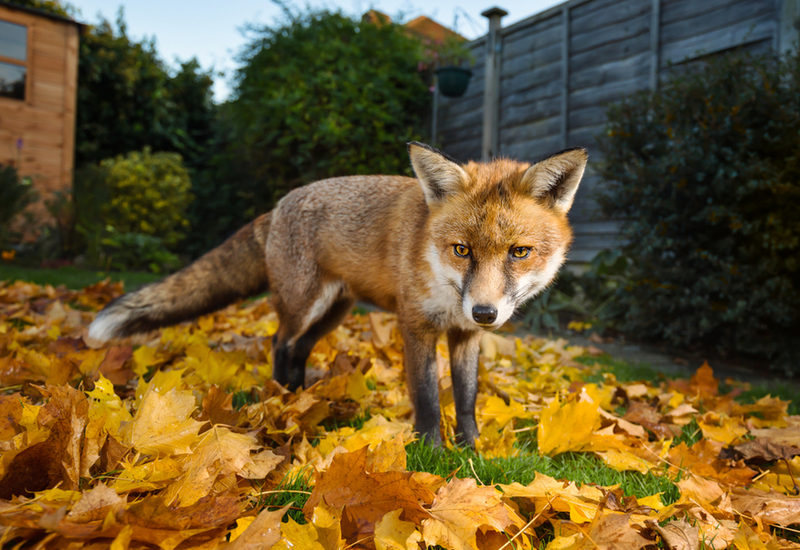 The Met doesn't believe that the foxes are killing the cats themselves, but instead that most of the victims are killed by cars, after which the foxes take the roadkill and mutilate the bodies. This include removing the head, tail and limbs of the animals — something which it has long been thought was being done by a human/humans. Often body parts were returned to the owners, furthering the belief that this must have been the work of a person. However, CCTV from three suspected cat killer cases all showed a fox dropping the body part. The hypothesis that foxes are behind the killings was actually raised a few months ago by New Scientist. But not everyone is convinced by the Met's findings. This excellent Vice documentary tracking the cases and the groups investigating, makes a strong case for the killings being committed by a human. At one point in the documentary, a vet does an autopsy and seems to rule out the cat having died from being hit by a vehicle. Below are some of the tweets from those sceptical of the Met's findings (there are many more on Twitter for those who want to keep looking). The Met may have come to a conclusion, but the jury, it seems, is still out. Did the car drivers make the clean cuts for the decapitations? Did they make the clean cuts of tails and paws? Did they deliver a head to an owner and then return the rest of the uneaten body to the exact same place days later? Maybe some of the dead cats that the Met police have investigated were killed by foxes but there's more to this story than the conclusion that "The cats were killed by foxes." I believe that there is an individual, or individuals, killing small animals. I've seen one of the cats that was murdered and it wasn't done by a fox or any other animal. It was done by a human!! I'm devastated by your statement today. The charity who have been investigating the killings — South Norwood Animal Rescue and Liberty (SNARL) — posted on its Facebook page, saying that the Met's announcement came as a "surprise". It also says that the evidence it has gathered "does indicate human involvement." On average, the Met receives over 1,000 calls each month relating to animals and animal welfare. We understand the reason for this - people trust the police to help them when they suspect others have done wrong, fear for their own safety or simply are facing situations that they are unable to handle themselves. We will always assist the public in an emergency, but I would urge people to report concerns relating to animal welfare in the first instance to the RSPCA.